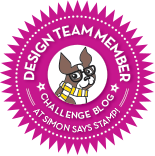 Paper Pawz: Winter Anemones with Honey Bee Stamps! Happy Monday crafty friends! 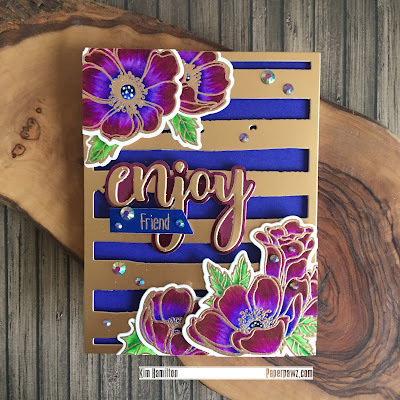 I am sharing a card featuring Honey Bee Stamps today in colors that I don't normally use! I am trying to get out of my comfort zone and try new things this year and the Anemone inspiration photo that I found on Google was perfect for this! 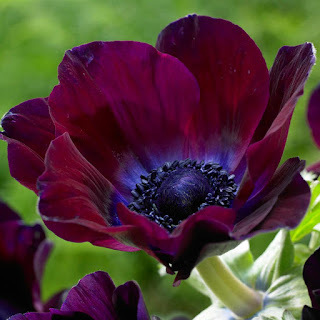 I just loved this flower and though the colors were perfect for the Honey Bee Winter Anemones! I decided to use my Zig Clean Color Real Brush Markers for these, I love the ease of blending with these and since the colors were so intense they were the perfect choice. I stamped and gold embossed my Anemones on Bristol Smooth cardstock, colored them in and used the accompanying dies. 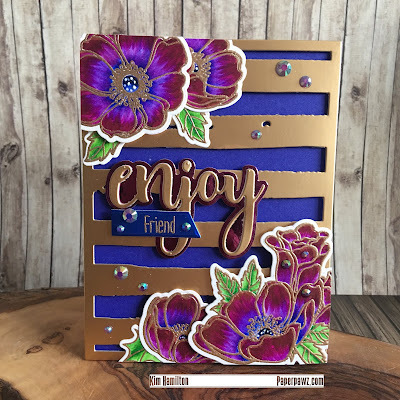 Once I had my flowers complete I looked through my cardstock and felt the Simon Says Stamp Blue Violet was the perfect match for the background. 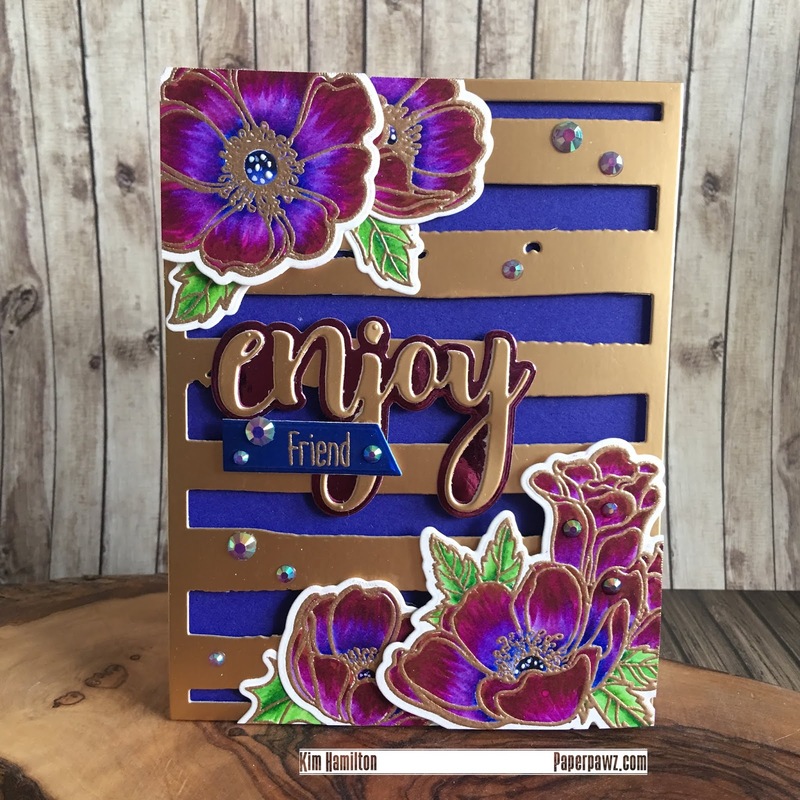 I used the Altenew Watercolor Stripes Cover die, I felt it complemented this beautifully so I die cut it from some Tonic Harvest Gold Mirror cardstock and used foam tape to adhere to the background panel. I glued my flowers and leaves with a mix of glue and foam tape and cut the excess off the panel. 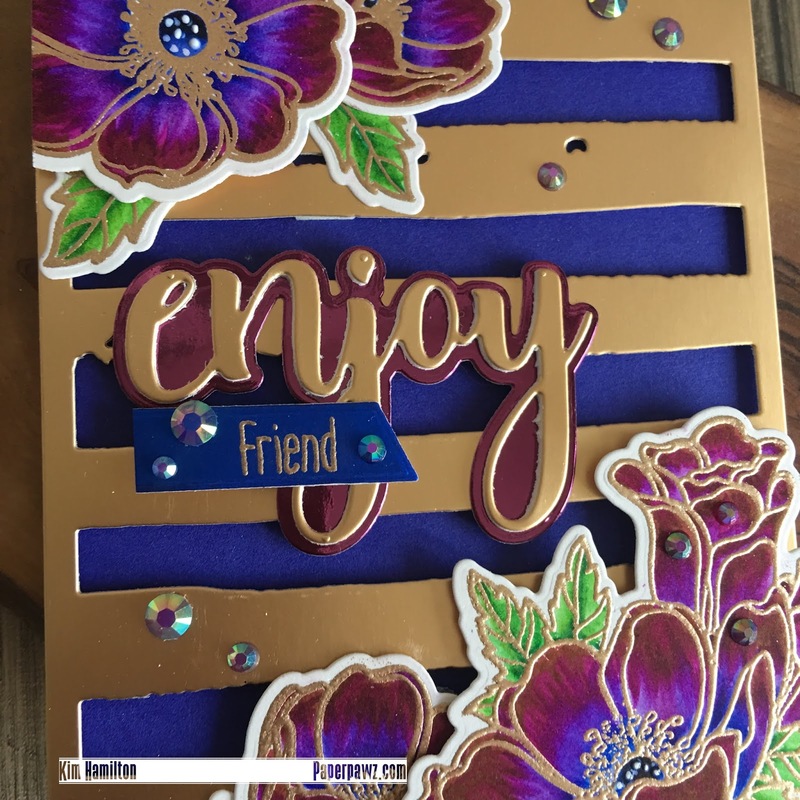 I chose the Honey Bee Enjoy sentiment and die cut that from the same Harverst Gold and Tonic Midnight Plum for the "liner" sentiment. 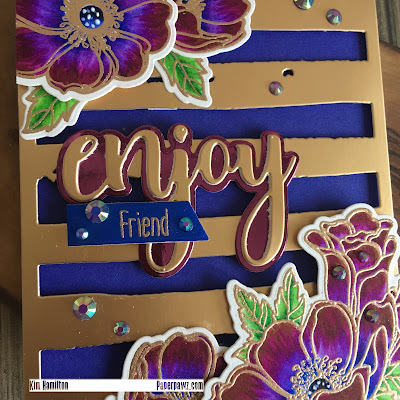 The secondary Friend sentiment is from the Honey Bee More Flakey Friends set and I used the same gold embossing power. I finished off my card with some Pretty Pink Posh Amethyst Jewels. Thanks so much for taking the time! 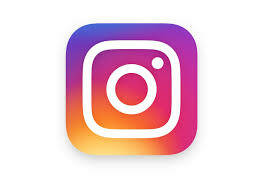 All products listed and linked below, affiliate links used at no cost to you!